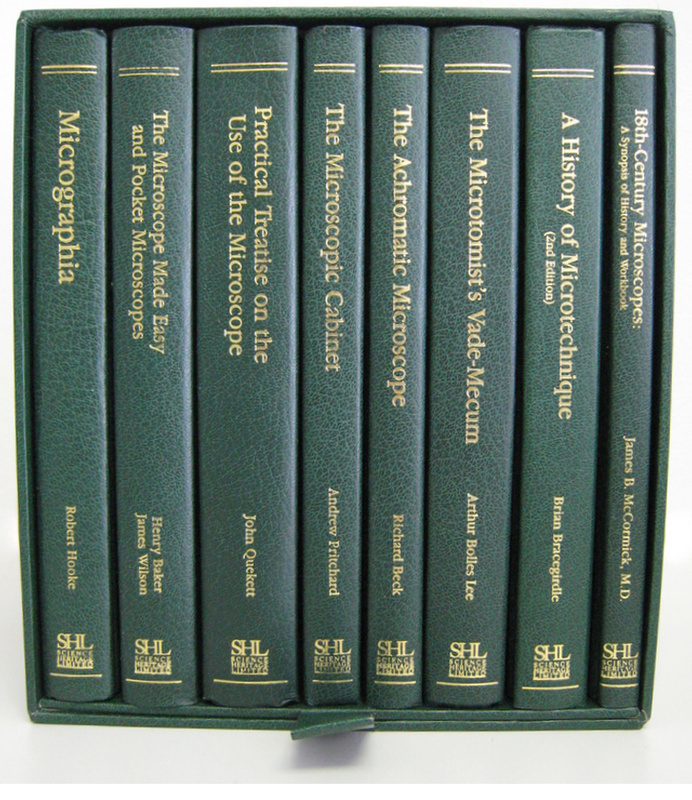 Our History of Microscopy book series is a collection of eight volumes selected from both classic literature in the field of natural science technology and new manuscripts. The selection of titles does not judge other important works to be of less consequence, but rather it accounts for a sampling of literature that spans three centuries of inquiry. We present them in fine bindings reminiscent of a time when bookmaking was an art. If you have ever wondered how the microscope evolved, how minute objects were described as they were viewed for the first time, how specimens were prepared, problems were solved, and new discoveries were achieved, then the Science Heritage History of Microscopy series and library will provide a rewarding experience. 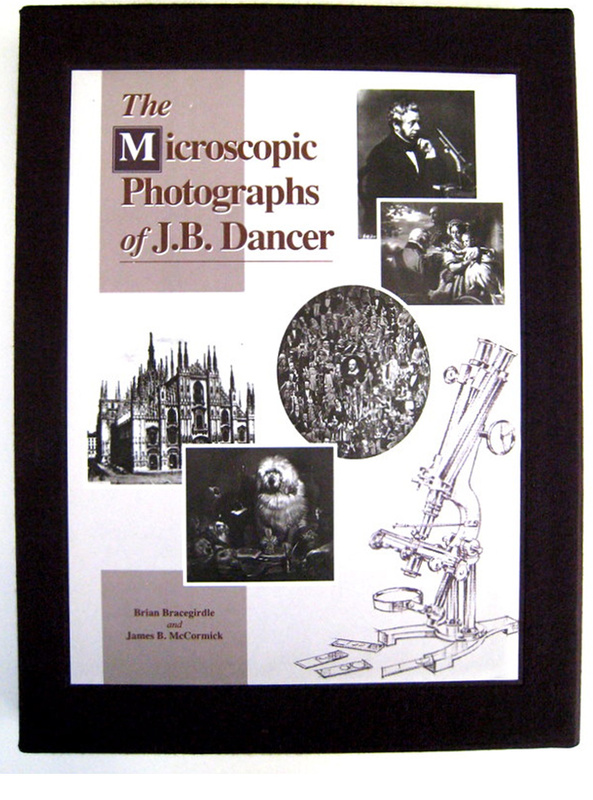 The Microscopic Photographs of J.B. Dancer, a 288 page, 9×12 inch deluxe bound volume of photographic art, is of special importance to those who are interested in photography, science, and social history. Each of the J.B. Dancer atlas pictures is accompanied by informative notes that form a fascinating portrait of the taste and interests of the 19th Century. 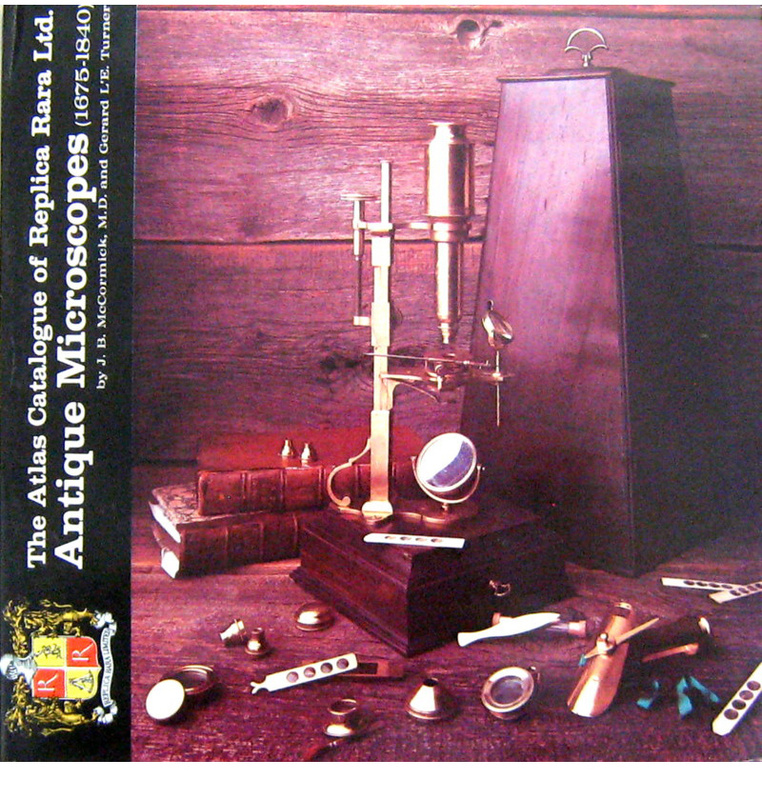 The Atlas Catalogue of Replica Rare Ltd. features a collection of twenty rare microscopes (c. 1675 to c. 1840). Each microscope portrait includes all of the instrument’s important attachments and accessories. Along with each microscope is an eloquent description written by the 1975 President of the Royal Microscopical Society and Associate Curator of the Museum of Science at Oxford University, Gerard L’E Turner. 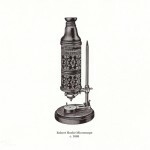 An introduction to the collection and chronological history of microscopes is offered by J.B. McCormick, M.D. The book, Notes on Nursing by Florence Nightingale was first published in 1860. Treasured by nurses, this practical and witty guide to the healing arts is an exact replica of the first 1860 edition, hand-bound and gold embossed. Certainly of historical importance, these “notes” remain relevant to the healing arts as they are practiced today. Hooke's philosophy is clearly revealed in the opening words of the preface: "It is the great prerogative of mankind above other creatures, that we are not only able to behold the works of nature or barely to sustain our lives by them, but that we have also the power of considering, comparing altering, assisting, and improving them to various uses." Hooke calls attention to the need of "rectifying the operation of the senses, the memory, and reason." 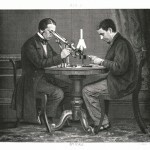 He then explains how this can be accomplished; The senses can be expanded through the extension of sight by the use of his newly designed and improved microscope; The memory is improved with his minutely detailed engraved illustrations; And the power of reason is demonstrated by recording his observations and queries, thereby revealing scientific truths and facts. Beginning with chapter 1, Hooke systematically examines common materials and compares the unaided view with the expanded view of the magnifying glass. He notes the imperfections of man-made objects, and contrasts them with the infinite perfection of natural objects. Hooke applies his scientific method to the properties of matter, from solid to fluid. He deducts that fluidity is a property given to finely divided matter and that solubility is a property of like matter and density, i.e. oil and water. He concludes that fluidity is like fine sand vibrating on the head of a drum. A piece of cork will float to the top of the energized sand particles, while a piece of lead will move to the bottom. Hooke never ceases to observe. Whenever his eyes were open, the world around him was a laboratory. Whatever was at hand, he observed its properties. If it was snowing, or there was frost on glass, he observed the flakes and crystals. In this book, Hooke questions form, origin, and the relationship of one observation to another as he examines, describes, and comments upon a broad variety of mineral, plant and animal materials. 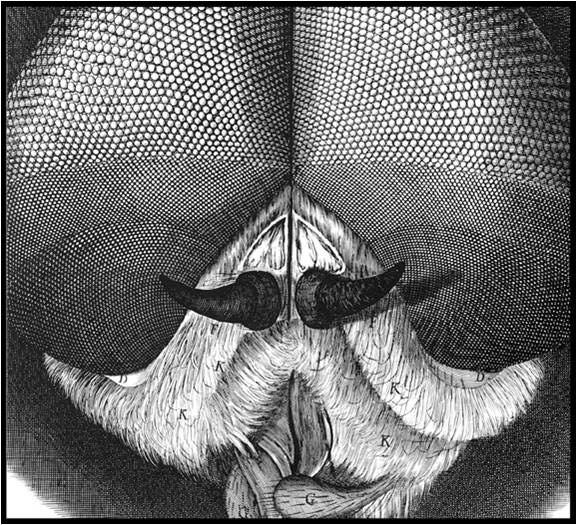 Micrographia is a fascinating and rewarding account of a significant time in scientific history. These impressive works review the state-of-the-art in eighteenth century microscopes. Baker wrote to those who “desire to search into the wonders of the Minute Creation, tho’ they are not acquainted with optics.” He includes complete directions on “how to prepare, apply, examine and preserve all sorts of objects: and proper cautions to be observed in viewing them.” In first presenting he book to the Royal Society of London on October 28, 1742, Baker wrote that his goal was to “attempt to excite in mankind a general desire of searching into the wonders of Nature.” Baker’s descriptions of many microscopic objects must certainly have left some readers of the time in disbelief. For example, he description of "Animalcules in the Teeth": "Though no Animalcules can be found in Saliva or Spittle, great Numbers of different Kinds may be discovered in the whitish Matter sticking between the Teeth; if it be picked out with a Pin or Needle, mixt with a little Rain-Water and Spittle without bubbles, and applied before the Microscope. And sometimes they are so incredibly numerous, and so full of Motion, that the whole Mass appears alive." Baker also demonstrates his precise and clearly understood "how to" explanation of an instrument. His description of the form and use of the Wilson Single pocket microscope is clearly written and easy to follow. It is interesting to compare his writing about this instrument with that of the inventor, Wilson, which is also included in this volume. 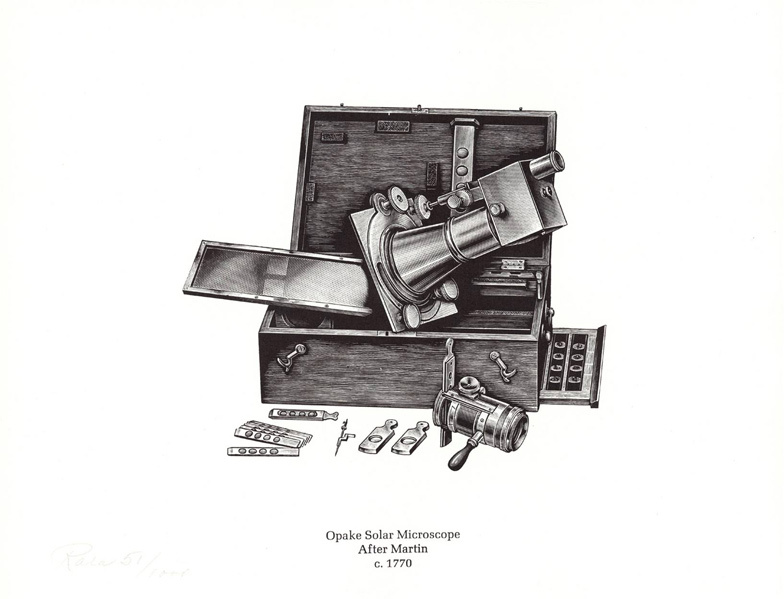 Baker also gives equally exact descriptions and instructions for the use of the double reflecting microscopes by Culpeper, Scarlet and Marshal; the Solar or Camera Obscura microscope; and Lieberkuhn's Opake hand microscope. Baker even provides instructions as to the proper state of mind when using the microscope. "when employing the microscope, shake off all Prejudice, nor harbour any favorite opinions; for, if you do, it is not unlikely Fancy will betray you into Error, and make you think you see what you would wish to see." "Remember, that truth also is the matter that you are in search after; and if you have been mistaken, let no Vanity seduce you to persist in your mistake." Baker closes with "Some Reasonable Reflections on Discoveries made by the Microscope." He concludes that the "progress in Nature is so very gradual, that the whole chasm, from a Plant to a Man, is filled up with divers kinds of Creature, rising one over another by such a gentle and easy ascent, that the little transitions and Deviations from on Species to another are almost insensible. And the intermediate Space is so well husbanded and managed, that there is scarce a Degree of Perception which does not appear in some one Part of the World of Life." Bound into this volume is the short descriptive essay and illustrated instructions for the use of the simple Pocket Microscope. 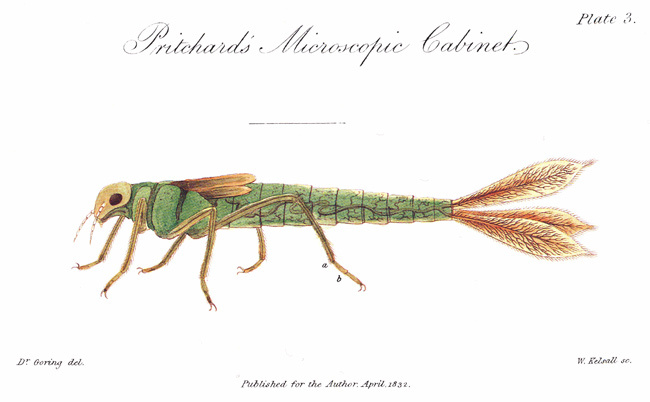 Titled Pocket Microscopes this rare brochure by James Wilson was first published in 1706. Baker also speaks clearly on the use of this early popular instrument. 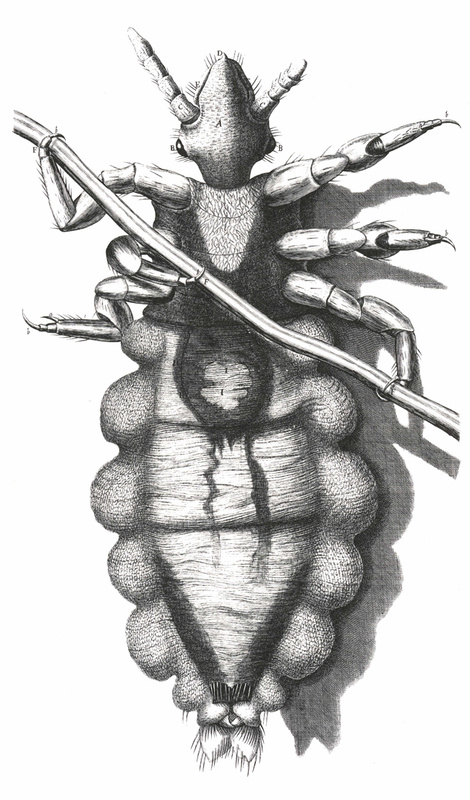 The first thirteen chapters are devoted to the description of the Aquatic Larvae of Insects, Crustacea, and Animalcules. The reader must consider them merely as popular outlines of their general characters, chiefly collected from the Author's own observations. This was considered preferable to a scientific display of terms, or a lengthened history, which many persons might not be disposed to follow. 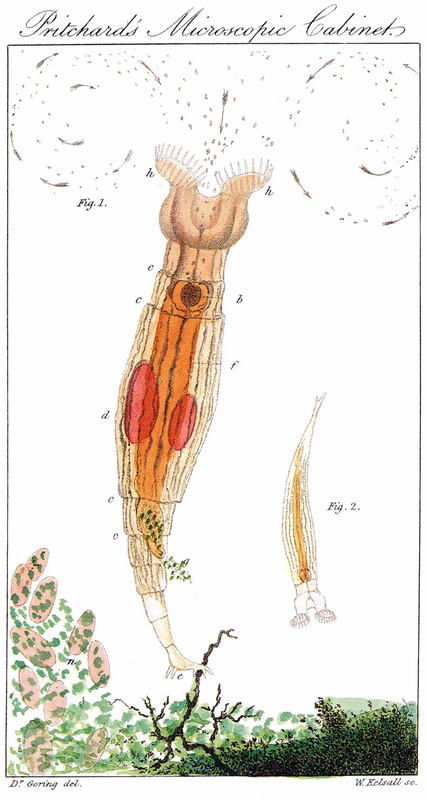 To each of these classes are prefixed, for the information of the general reader, a few cursory remarks on their arrangement, &c.
The descriptions of the Living Objects are followed by that of the Jewelled Microscope. 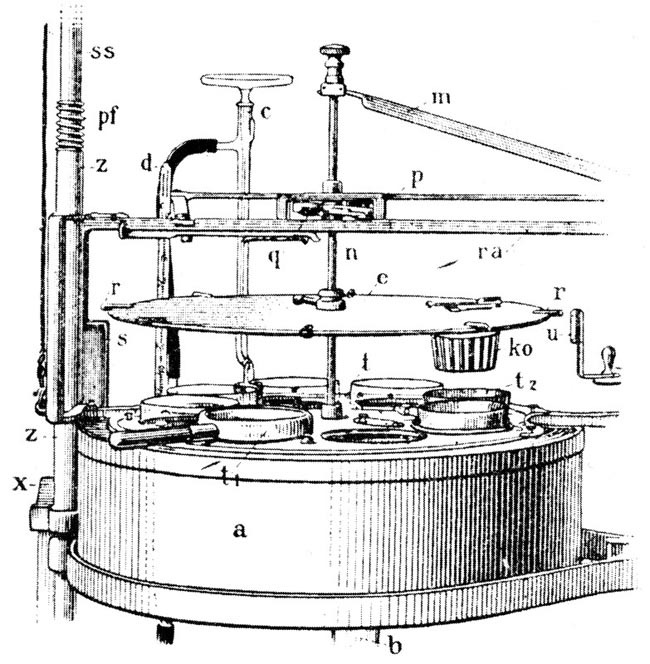 This chapter is succeeded by an account of a Microscope which has been found, from actual experience, to be well suited for all general purposes: its construction is simple, it is easily managed, and with ordinary care is not liable to derangement." 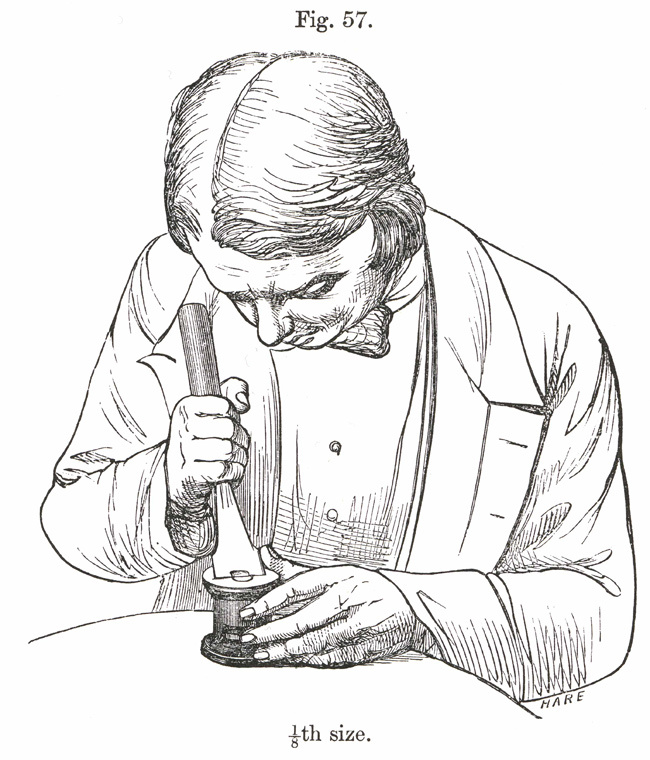 The importance of certain objects in determining the qualities for Microscopes and Engiscopes (compound microscopes) is now duly acknowledged, and as no complete account of these Tests at present exists, it is hoped that a full description of them will be found useful: but to render the subject complete in a scientific view, Dr. Goring has given a Memoir on an Exact Method of ascertaining the Quality of Microscopes and Engiscopes. 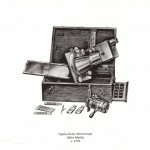 Of this method, which as hiterto been a secret known only to very few persons, its value may be somewhat appreciated when it is stated that no perfect achromatic microscope has been produced without it; and although they have been known to the public for some time, and profound mathematicians have assiduously employed their talents in the investigation of the conditions necessary for obtaining achromatism and aplanatism, yet no perfect instrument has been produced excepting by the means given in this memoir. The other memoir by Dr. Goring, "on the Verification of Microscopic Phenomena," contains the sum and substance of microscopic science: it is condensed into short aphorisms, but I think will be found on attentive perusual to contain all that is essential to a practical knowledge of the subject. The author of this treatise writes in great detail on the construction, proper operation, and capabilities of Smith, Beck, and Beck’s achromatic microscopes and accessories. It is a rare description and detailed instruction on the use of an advanced design achromatic microscope and numerous special accessories. He begins with a description: “A Compound Achromatic Microscope consists essentially of two parts, an object-glass and an eyepiece – so called because they are respectively near the object and the eye when the instrument is in use. 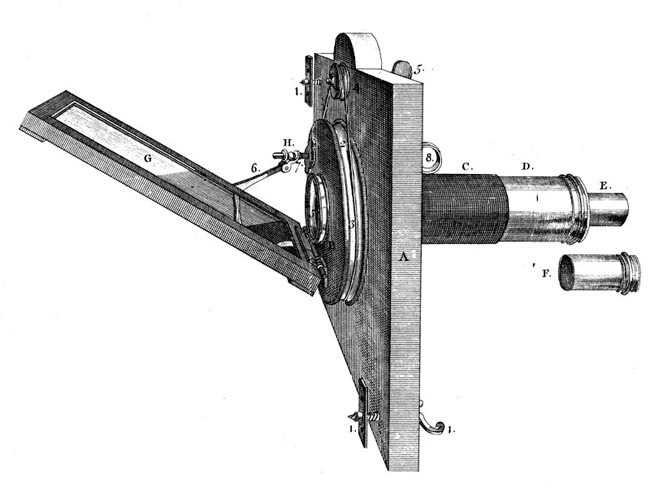 The object-glass screws, and the eyepiece slides, into opposite ends of a tube termed the 'body', and upon the union of the two the magnifying power depends. The microscope-stand is an arrangement for carrying the body; and is combined with a stage for holding or giving traverse to an object, and a mirror or some other provision for illumination." He then describes each part individually: Microscope Stands, The Stage, The Mirror, The Substage, Revolving and Folding Bases, The Eyepiece, The Object-glasses, The "Universal Screw", and The 1/20th Object-Glass. Beck goes on to describe the proper operation of the microscope, beginning with the management of light. He explains the methods of transmitted illumination - how to use the mirror, the diaphragm, the achromatic condenser, tests for object-glasses, adjustments for high powers, tests with the Podura-scale, methods of measuring aperture, "lined objects" as tests, Nobert's lines, and oblique illumination. He then explains the methods of illumination from above - how to use the slide condensing lenses, the slide silver reflector, the Lieberkuhns, forceps, and the opaque disk-revolver. Beck continues by providing specific instructions on viewing test object such as the splinter of a Lucifer match, the Podura-scale, the tarsus of a spider, the feather of a pigeon, and the Arachnoidiscus Japonicus. 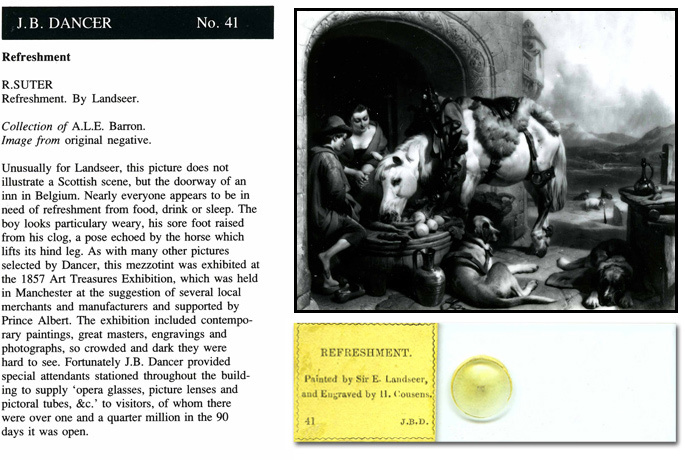 Another section of the book discusses polarized light as applied to the microscope. Specific methods are detailed, including the use of Nicol's prism, the selenite plate, Darker's retarding-plates of selenite, Darker's selenite stage, tourmalines, polarizers for large objects, experiments with double-image prisms, and crystals to show rings. 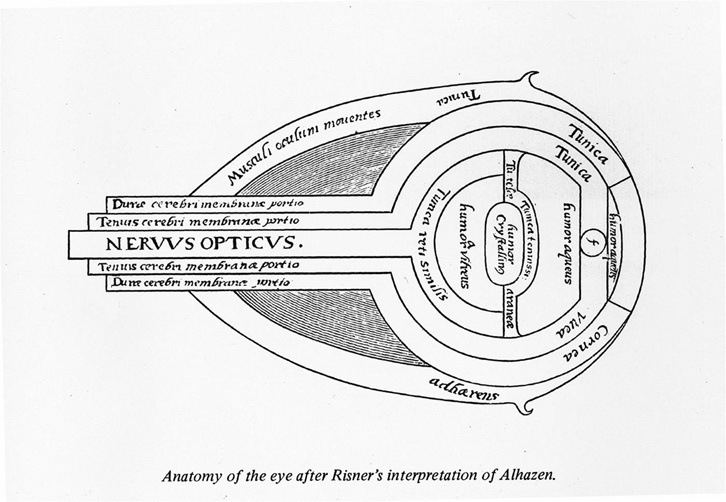 Beck also describes and explains Wenham's binocular body for achromatic microscopes. He defends binocular vision and praises Wenham for making a major contribution to microscopy. 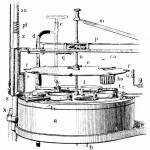 Sundry apparatus is also described, including live-boxes and troughs, the screw live-box, lever compressors, Wenham's compressor, reversible compressors, the frog plate, the camera lucida, micrometers, Quekett's indicator, double and quadruple nosepieces, Leeson's goniometer, Maltwood's finder, and microscope lamps and tables. In addition, Beck also discusses the third class microscope for students, the universal microscopes, and single microscopes and magnifiers. Finally, he describes various instruments used in preparing objects, instruments and materials used in mounting objects, and microscopic cabinets. This classic text is the most complete and detailed description of the component parts and functions of a "modern" compound microscope. 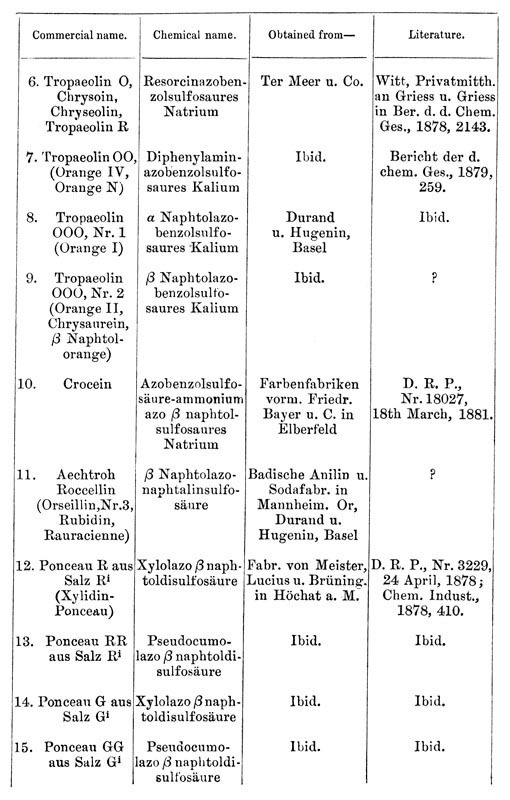 Lee presents an organized collection of 660 tested reagents and procedures for fixing, staining processing, mounting and demonstrating all manners of biological and histotechnological material as known up to the publication date of 1885. 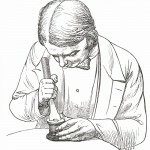 As Lee points out in the preface, the book provides “a concise but complete account of all the methods of preparation.” The introduction explains the purpose of the book, which is to provide zoological scientists with a collection of microscopical methods to participate in a wide list of needs. It is intended to reveal additional information from the images of nature viewed or enhanced for study through the microscope. It outlines the evolution of microscopy as a series of solutions to specific problems or needs. Each of the methods described is such a solution. The entire second chapter is devoted to fixing agents. Thirty-nine individual instructions and formulae are given along with a philosophical bases of the work. The next 15 chapters describe a wide variety of stains and staining procedures, each with a unique affinity and purpose. Chapter 18 then discusses hardening agents, with 15 process and formula results. Lee describes the impact of the introduction of paraffin infiltration methods. "Methods of embedding have now been brought to such a degree of perfection that the thorough hardening of soft tissues that was formerly necessary in order to cut thin section from them is now, in the majority of cases, no longer necessary." 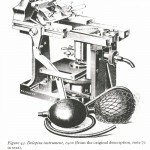 In Chapter 19, Lee presents the theory of embedding, and comments on the use of the microtome. He goes into great detail in discussing the needs and means to provide fine quality tissue sections of minute thickness. The following chapters include discussions on fusion, congelation, coagulation, and evaporation embedding-masses. Capters are also included on: Serial Section Mounting, Clearing Agents, Examination Media, Cements, and Varnishes, Injection-Masses, Maceration and Corrosions, Decalcification, Descilicification, and Bleaching, Cytological Methods, Embryological Methods, Integument and Tactile Organs of Vertabrata, Retina of Vertabrata, Inner Ear of Vertabrata, Nerve-Endings in Muscle, Medullated Nerve, Myelon, Connective Tissues, Blood, Gland and Lymphatics, Mollusca, Arthropoda, Vermes, Colenterata and Porifera, Protista, and Varia. The utility and appropriateness of many of these prcedures have survived into the most modern 20th century microscopic laboratories. This book is important in understanding the assembly and function of many accessories or attachments to evolving microscopes. 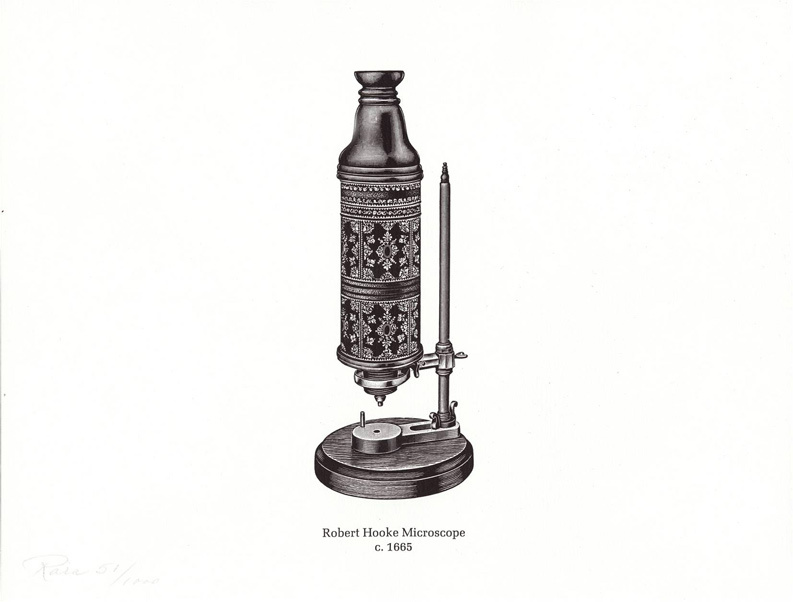 McCormick begins with a brief, general history of microscopes of the 17th and 18th centuries. He discusses the significance of the microscope relative to the inventions of other machines and instruments of the period - especially the telescope. In chapter 2, McCormick reviews the development of the concepts that relate to the optics of the microscope. He writes about magnification, refraction, diffraction and interference, refraction and dispersion, and reflection. "It is a curious fact," he states, "that nearly 300 years elapsed between the invention of the eyeglasses, which use lenses to improve the sight of the human eye, and the earliest production of optical instruments, the telescope and the microscope. The thought of making a small, short focal length, hard lens, which is what constitutes the simple microscope, simply had not occurred to anyone." 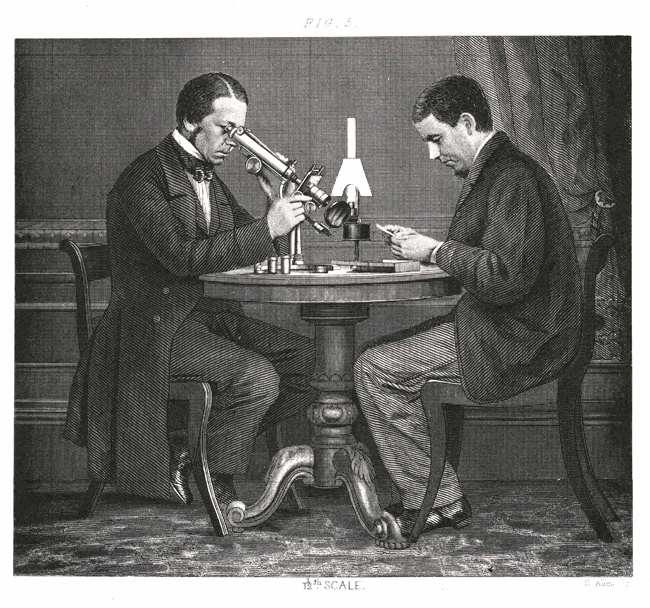 In the next five chapters, McCormick talks about the development of the simple and compound microscopes. He focuses on the problems faced by both users and designers of these instruments, and the attempts to solve the problems by invention and, in some cases, by accident. He discusses the development of the compass microscope and the Lieberkuhn reflector. He continues with the evolution of the compound microscope, highlighting the contributions of Edmund Culpeper and James Wilson with their screw-barrel designs. McCormick then goes into some detail about the modifications that were applied to the basic designs. 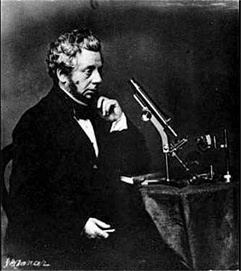 He discusses the Edinburgh Wilson Screw-Barrel Microscope, the Solar Microscope, the Double Reflection Microscope, and the Culpeper-type Microscope. 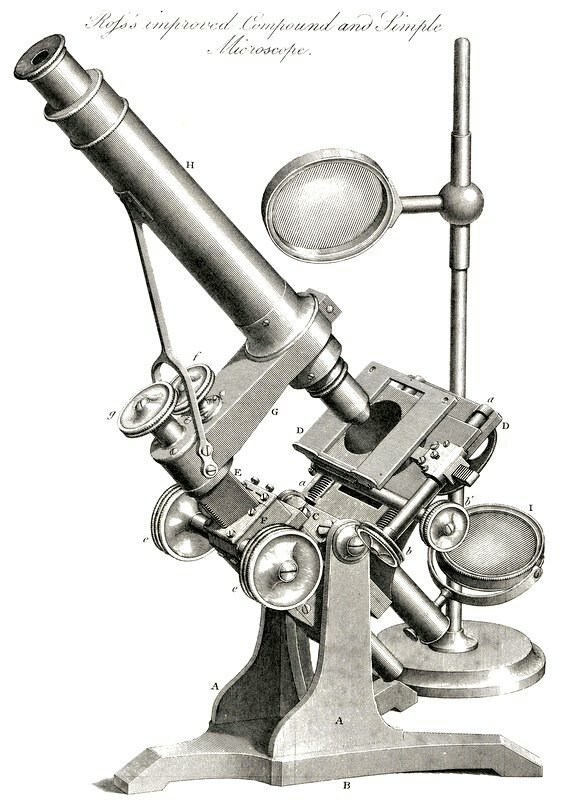 Finally, McCormick describes the development in 1744 of the Cuff-type Microscope, which is the forerunner of the modern microscope. 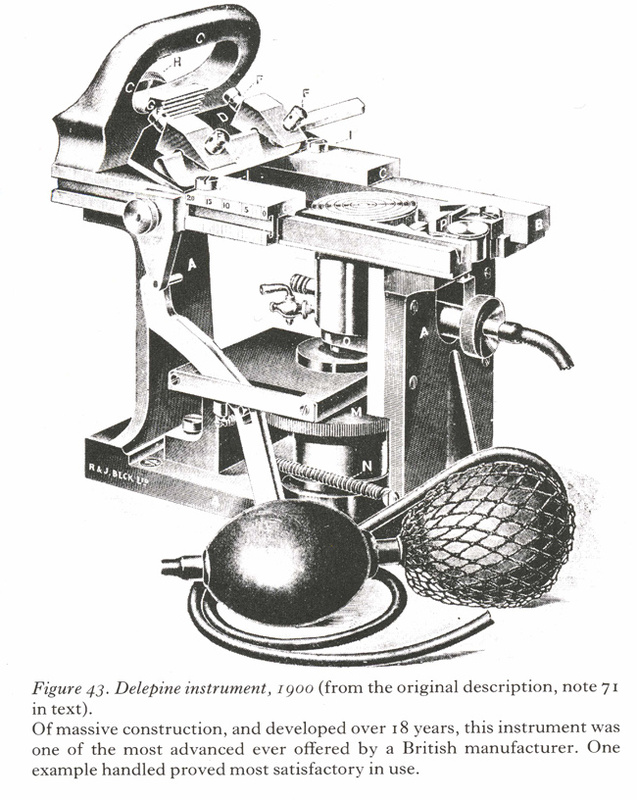 "Mechanically, this instrument is far superior to any of its predecessors. Its advent ushered in a new trend in microscope design. All major instrument makers copied or made slight alterations and modifications to Cuff's model. His fundamental structural plan prevailed for some 50 to 60 years." He closes with a detailed description and use of a Cuff Microscope. 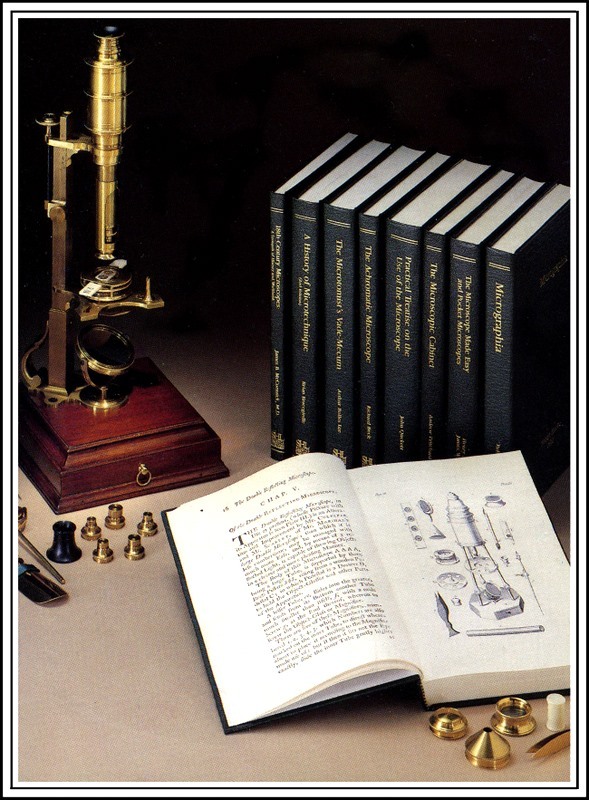 The History of the Microscope library set of books was prepared to make the philosophical and technological heritage of microscopy easily accessible. The set consists of a collection of eight books – six rare facsimile editions of classic science literature and two recent works concerning the development of histotechnology and microscopy. The bound books are presented in an attractive slipcase. The book, Notes on Nursing by Florence Nightingale, English nurse and founder of modern nursing, was first published in 1860. Treasured by nurses, this practical and witty guide to the healing arts is an exact replica of the first 1860 edition, hand-bound and gold embossed. Certainly of historical importance, these “notes” remain relevant to the healing arts as they are practiced today.